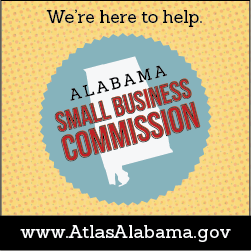 We have assembled a Visual Identity Drive via Google Drive where you can access logos, print & digital ads, and television & radio commercials for Atlas Alabama and the Alabama Small Business Commission. Feel free to use these ads on your website or in any trade publications with which you may be affiliated. 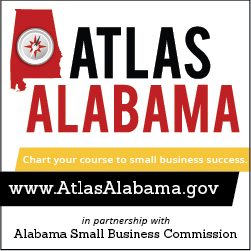 Please email info@AtlasAlabama.gov if you require any of these materials in different sizes or specifications.